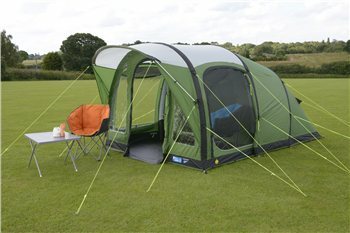 The was the replacement for my festival tent. This pas weekend was it's first trip out. - Super fast set up, be the envy of your fellow festivalites! - Roomy, getting changed standing up is key. - relatively heavy for a tent of this size. - The guy lines need to be anchored for proper tent tension. Make sure to bring stuff to brightly mark your lines! I had to replace a few at weird times due to drunks tripping on them. All in all, it is a great piece of kit for a festival. If you like having a castle away from home. This is it.